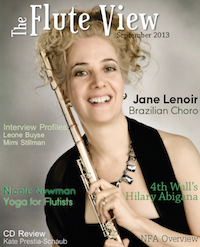 The Flute View is a fresh new approach to everything relevant to flute today. 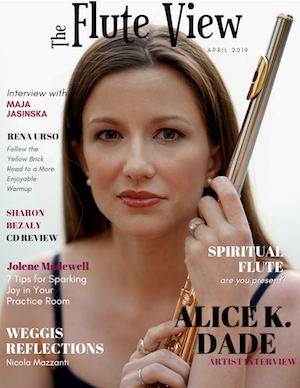 In these changing musical times, our exclusive online magazine covers flutists who are carving their own career paths, marketing yourself as an artist, entrepreneurship, new music and technology, health and wellness, and anything that relates to playing the flute today. 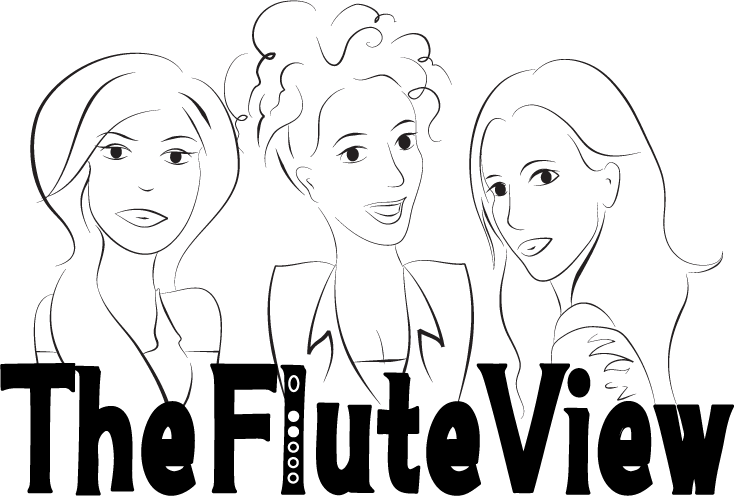 Conceived and created by Barbara Siesel, Fluterscooter, and Viviana Guzman, The Flute View has exclusive video content produced in a fun format in the form of Spreecasts, as well as guest writers and featured articles. 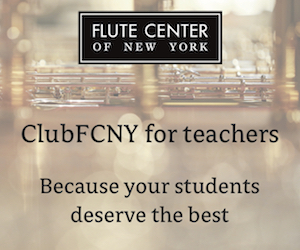 We believe it is invaluable to have a forum in which today’s flutists--from students of all ages to professionals--can be inspired. 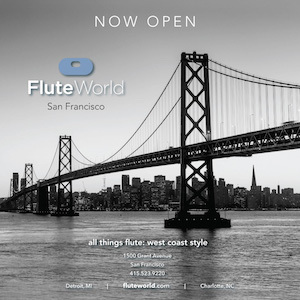 We are living in a time of rapid change in technology and music, and we believe this magazine is important because flutists need a platform for reading, writing, and exchanging ideas. 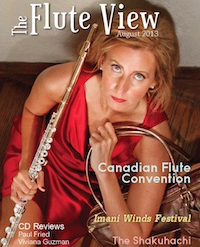 There are more and more flutists now who are doing things that the worldwide flute community should know about, and The Flute View highlights these artists' activities through live interviews and articles. Many flutists today want to take non-traditional paths, explore the opportunities, or make their own. 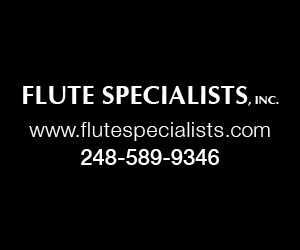 For example, when we were at NFA, we heard from a lot of college flutists who had no idea what to do after they graduated, and we know that there is a great need for guidance and inspiration for flutists at all stages of their career. 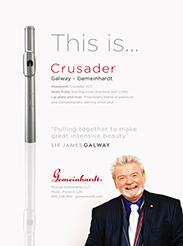 We welcome you, the flute community, to send us your thoughts and articles on an ongoing basis. For more information on submission procedures, head to our Submit an Article page. 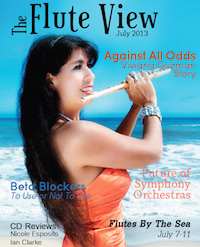 Disclaimer: The contents of articles submitted to The Flute View for publication by guest contributors do not reflect the opinions the The Flute View magazine. Barbara Siesel has pioneered the promotion of new music, new technology and the music of women composers through her work as artistic director of the Andiamo Chamber Ensemble, Art, Culture & Technology and founder and artistic director of the Storm King Music Festival. Siesel has performed in the great halls of Europe, Russia, China, and Japan as a recitalist of American and contemporary music. She’s been on the faculty of Colby College in Maine and New World School of the Arts in Florida. In 2004 Barbara decided to turn her attention to promoting classical music for children and co-founded the Green Golly Project. She’s a graduate of the Juilliard School. Andrea Fisher aka Fluterscooter is a flutist, producer, and entrepreneur. 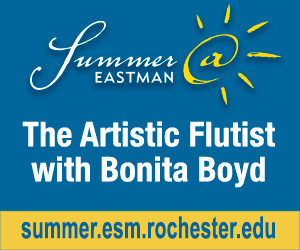 A graduate of The Juilliard School and a Powell Flutes artist, Fluterscooter has given lectures on Musical Entrepreneurship at NYU, Penn State, Juilliard, West Virginia University, University of Missouri, and various flute festivals and masterclasses. Her unique performances incorporate everything from playing flute and organ simultaneously, 3D light projections, and she was the first flutist to perform with hologram technology in Japan. She has performed and recorded with the likes of John Legend, Ian Anderson, 50 Cent, Puff Daddy, and various pop artists. She also composes and produces, most recently producing her entire meditation album. Fluterscooter is the owner and founder of the popular Fluterscooter bag company, now sold in over 100 shops around the world. Described by the New York Times as "an imaginative artist,” Chilean born, Viviana Guzman performs over 60 concerts a year throughout the world. Her recording “Traveling Sonata” received a GRAMMY Nomination, and “Song of the Whale” received a Global Music Award, Gold Medal. She gave a successful TEDxBerkeley Talk, presenting just before Steve Wozniak, Co-Founder of Apple, Inc. She has been featured on programs for PBS, NPR, CNN and NBC, ABC, CBS, BBC, and seen on the cover of Latina Style Magazine, and in COSMOPOLITAN en Español. She as played in 127 countries, and on all 5 continents and has presented masterclasses in over 55 universities around the wolrd. She is a graduate of the Juilliard School in New York City and she has performed in Carnegie Hall, with such artists as Mikhail Baryshnikov, Placido Domingo, and Glenn Close. A former member of the New World Symphony and the Houston Grand Opera, she has played as soloist with 355 orchestras in Russia, Vermont, New York, Wisconsin, California, Texas, Montana, Vietnam, Philippines, Chile, Peru, Korea, Mexico, etc. Her YouTube channel boasts 2.5 million views. Currently, Viviana teaches at the University of California, Santa Cruz.